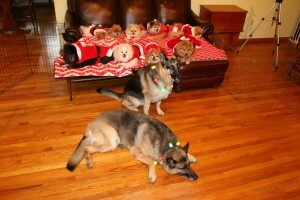 PomRescue.com inc » Merry Christmas!! . . . . 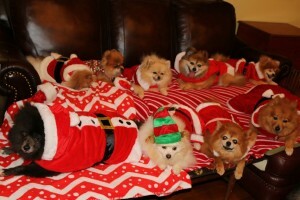 Saving Pomeranians one at a time . . . .
Merry Christmas PomRescue.com Family and Friends! We have so much to be grateful for. We are so thankful to our adopters, our dog families, our friends, and last but certainly not least, our supporters! This has been a difficult year with the sickness and loss of my mother, and several of our sanctuaried older dogs. But we have also had many bright spots as well. We have had some great new rescues. And our daughter and her family have moved back to SC from CA, and our son returned safely from deployment over seas. We are truly blessed. We pray that you and yours have been blessed as well! 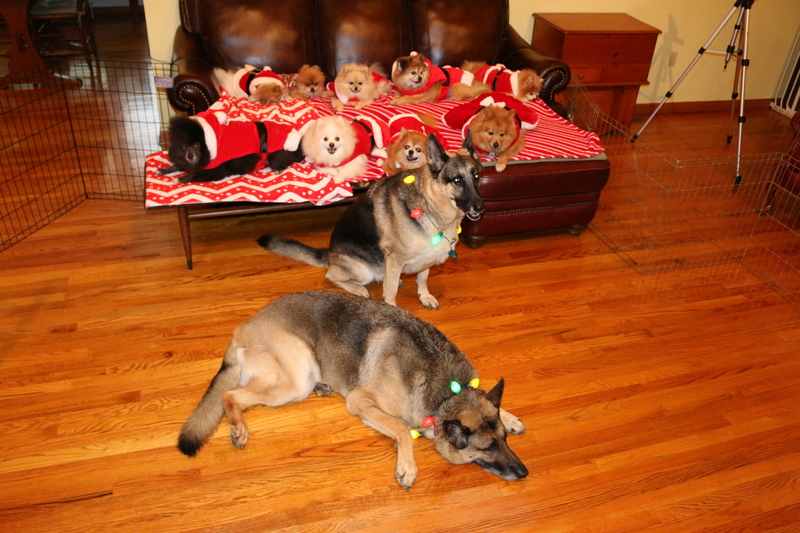 Here is our ‘Making of the Christmas cards Christmas video. We hope you enjoy! For some reason they did not allow me to use our incorporated name of PomRescue.com inc. If any one would like to make a donation, our PayPal address is PomRescuecom@aol.com or you can use our donate button below or drop a donation in the mail. This entry was posted on Thursday, November 15th, 2018 at 7:14 pm	and is filed under Uncategorized. You can follow any responses to this entry through the RSS 2.0 feed. Both comments and pings are currently closed. .
You can subscribe to the RSS feed for comments on this post. Just what is a Pom rescuer anyway? 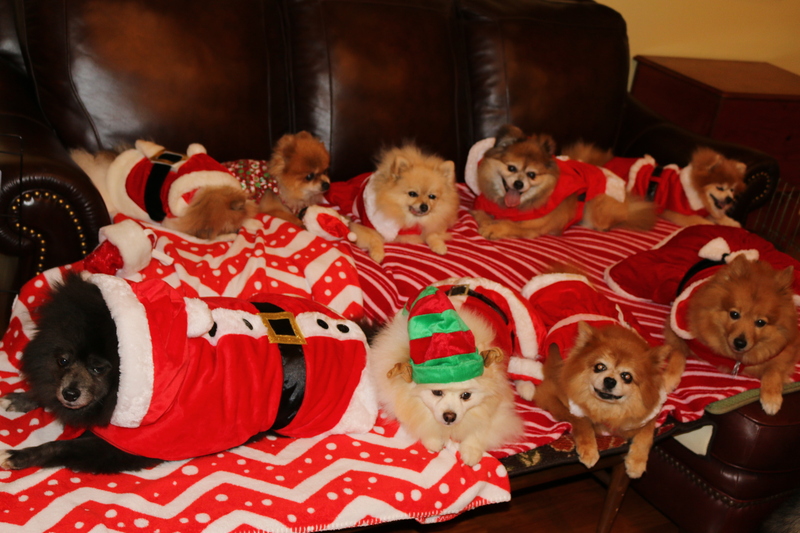 Why adopt a Pom from a rescue?